BACK ON THE MARKET. Investors take a look! If you want a large brick 2 story 4 bedroom home, this is for you! This home needs some TLC. 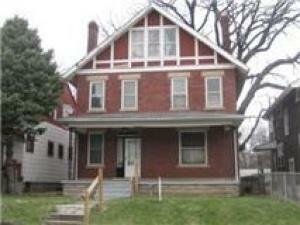 It has a Living Room, Den, Formal Dining room, kitchen with eating space, full basement and a 2 car detached garage. This would make a great FHA203k or HomeStyle project. This property is being sold in ''AS IS'' condition! Agents see A2A remarks.